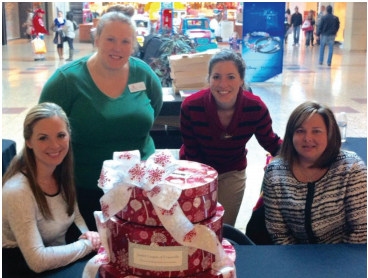 The Junior League of Evansville (JLE) is proud to present “Give Back & Wrap!” The League is partnering with nonprofit organizations within the community to offer gift wrapping services this holiday season. 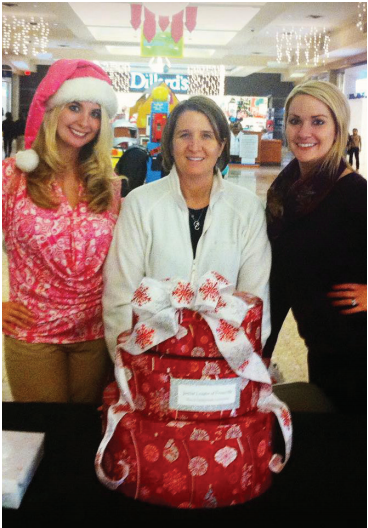 The gift wrapping station will be located in the Macy’s wing of Eastland Mall–providing this holiday service to patrons of the mall who choose to donate. Not only will this event help shoppers to arrive home with their presents wrapped and ready, but “Give Back & Wrap!” also provides a way for holiday shoppers to help others in the greater Evansville community. The “Give Back & Wrap!” event celebrates Junior League of Evansville’s 90th year of service to the Evansville community via the League’s Community Action Now (C.A.N.) initiative—encouraging the people of the greater Evansville area to provide a positive impact within our area, every day, in simple and meaningful ways. 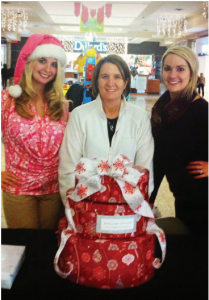 The gift wrapping station will be available daily beginning Monday, December 7th through December 24th. Regular hours of wrapping will be Monday through Friday 3:00 pm to 7:00 pm, Saturdays 10:00 am to 9:00 pm and Sundays from 11:00 am to 7:00 pm. Generous donations at the gift wrapping station will allow the Junior League of Evansville to continue to award small grants to those nonprofit agencies which specifically benefit the women and children within our community.